Can Outdoor Play Really Accelerate Pupil Progress? While we aren’t suggesting that schools cut down curriculum time in favour of extended breaks, recent research has shown that providing an outdoor environment that enables pupils to participate in active play can have a positive effect on their academic progress. In this post, we’ll look at what your school can do to help your pupils. According to Public Health England, there is a correlation between the fitness of a pupil and their academic progress. Those who are aerobically active tend to produce better academic results than their inactive classmates. Being able to increase aerobic fitness in a cohort of students, therefore, is a good way to help them progress better in their studies. One of the problems facing schools is the lack of physical activity children do. With an over-fondness for screen time and lack of opportunity at home, few children get the hour of daily physical activity recommended for good heart health. However, schools can do things to encourage more active play on their own premises. One inexpensive solution is to install playground markings. There’s such a wide range to choose from that you’ll find something that will tempt even the most inert pupils to get moving. These include sports markings such as football, netball, tennis and basketball, training markings for ball and feet skills, plus a wide range of games, like hopscotch. Getting children to boost their aerobic health means they’ll be fitter overall and more alert in lessons, helping them have more focus and energy to progress further. The poor behaviour of a small number of pupils can affect the learning of the entire class and if this happens persistently, the long-term progress of all pupils can be held back. Finding adequate solutions to classroom behaviour can, therefore, help everyone achieve their targets. Here again, physical activity has been shown to have an influence, reducing disruptive behaviour and improving social relationships within the classroom. Key to this is finding ways of getting pupils not just to play actively but to do so together. Installing climbing frames and roleplay equipment, together with the sports markings mentioned above, is one way to encourage such group activities. Being able to solve problems is essential if children are to make progress in their studies, however, it is a skill that isn’t just acquired from sitting behind a desk. Problem-solving is something that can be learnt in the playground and transferred to more academic pursuits. 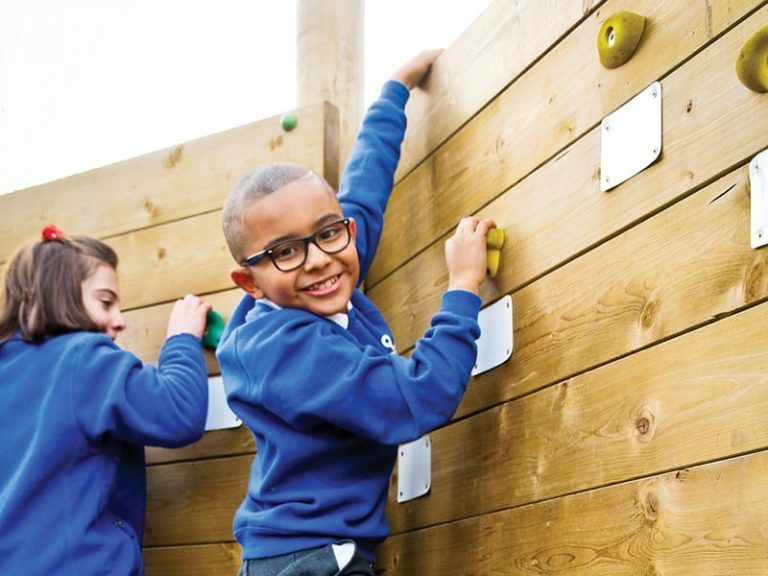 By installing equipment such as Trim Trails, pupils will not only enjoy playing on these fun obstacle courses, they’ll also need to spend time solving the navigation problems they put in their way. What’s the best route? What’s the right way to get across a piece of equipment? How do I stop myself from falling off? Do I need speed or balance to complete this obstacle effectively? Of course, as this is play, children see the challenge as fun and those who are averse to work will learn without feeling the pressures that they may do during lesson times. What’s even better about Trim Trails is that you can add interchangeable components, enabling you to provide children with a new set of problems to solve whenever you want. Research carried out by Public Health England shows that pupils who take part in physical activity progress better academically. On average, those who took part regularly achieved GCSE exam marks that were between ten and twenty per cent higher than their less-active counterparts. That shows there is a significant gap in progress between those who are active and those who are not. For schools, therefore, the message is clear. If you want pupils to make better progress, the playground can offer solutions that can work in tandem with your classroom initiatives. Getting pupils to play more actively can make them aerobically fitter, help them learn to solve problems, prevent disruption and keep them motivated and on task. 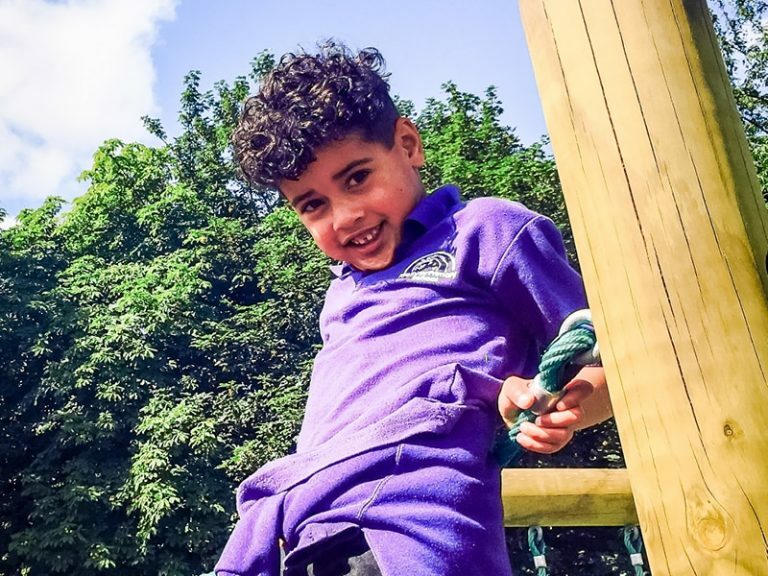 Indeed, independent research from Liverpool John Moores and Roehampton Universities has shown that in schools with outdoor playground equipment, 70% of pupils spent more time being moderately and vigorously active. And with such a wide range of playground equipment now available, schools can cater for the diverse interests of all their pupils. With the constant pressure to improve pupil progress, many schools have put far more emphasis on the classroom than they have on the playground. The link between physical activity and academic performance, however, is an important reminder that the brain relies on the body if it is to perform at its best. Giving opportunities for fun, active play is one way to help boost progress while giving something back to the children who work so hard and under increasing pressure.